I decided to share my top ten favorite posts of 2013 and in no particular order. These are all winners in my book. Can't wait to see what 2014 brings! 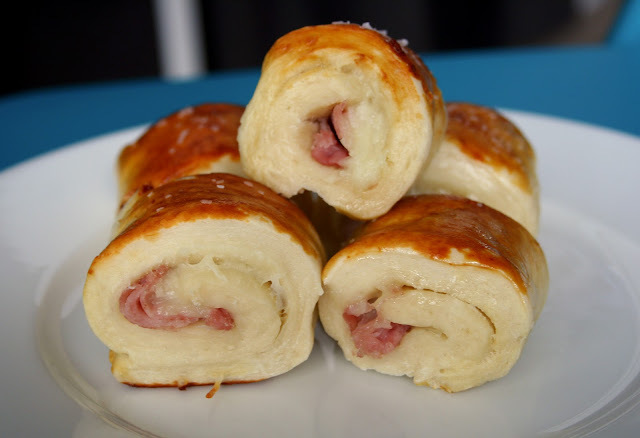 Ham and Cheese Pretzel Bites -- Not only did I love my recipe for soft buttery pretzels, but I could not say enough about stuffing ham and cheese into some pretzel dough. 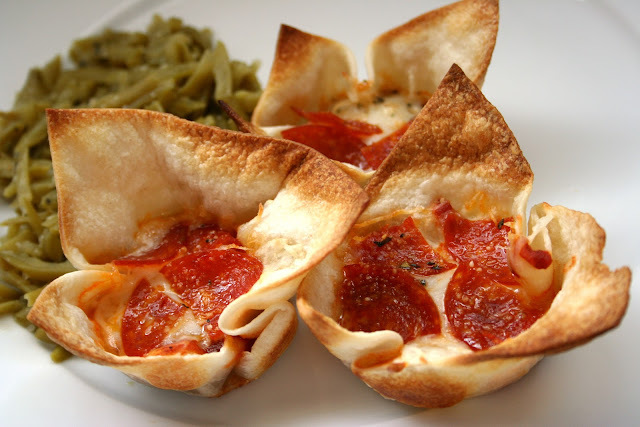 These are so good and totally approved for dinner! 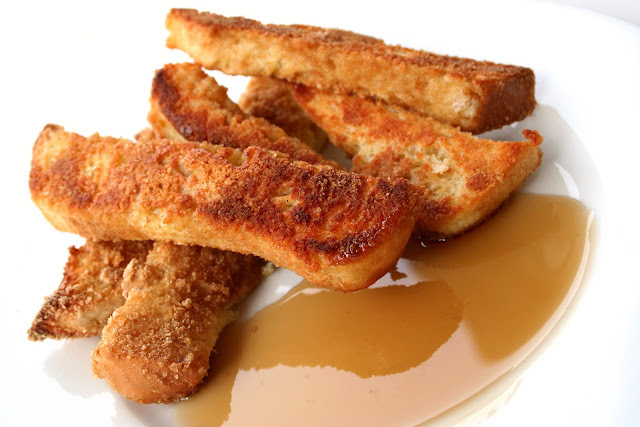 French Toast Dippers -- I've been making these dippers for about four years now and they're still some of my favorites. I love how crispy they get and they make a perfect breakfast food. 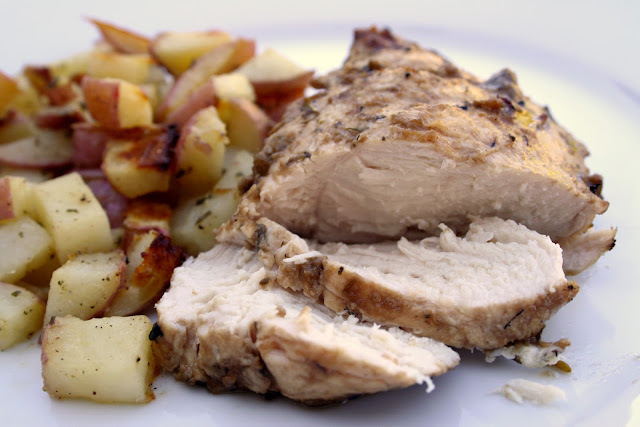 Favorite Grilled Chicken Marinade and Roasted Ranch Potatoes -- I'm so glad I finally found a homemade marinade that is drool-worthy every time. And these ranch potatoes are one of my go-to sides! Strawberry Spinach Salad with Mustard Poppy Seed Dressing -- I'm not usually one to make salads for dinner, but this one is seriously amazing. 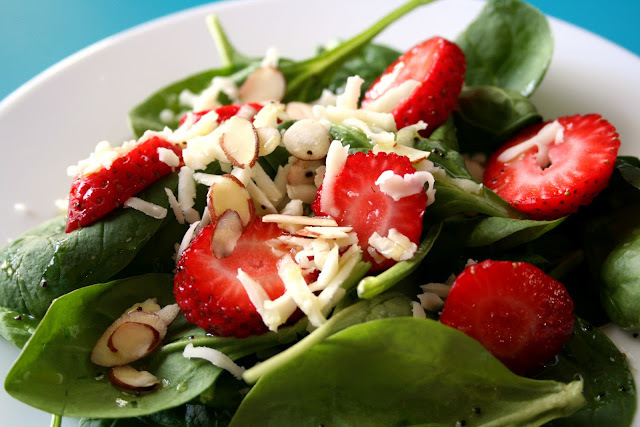 It doesn't get better than fresh fruit, cheese, nuts and a light vinaigrette on top of some spinach. 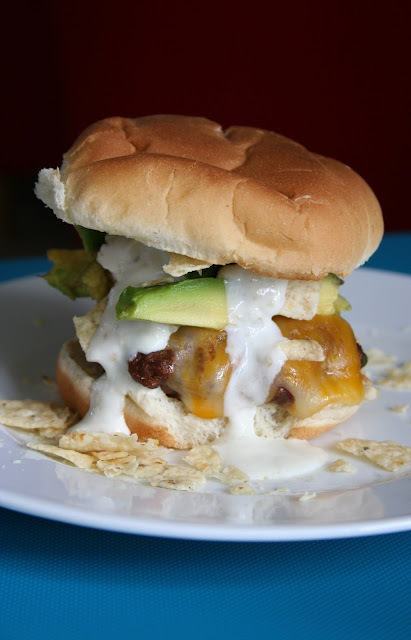 Fiesta-Style Burgers with Salsa Verde Cream -- I am seriously obsessed with the concept of these burgers. 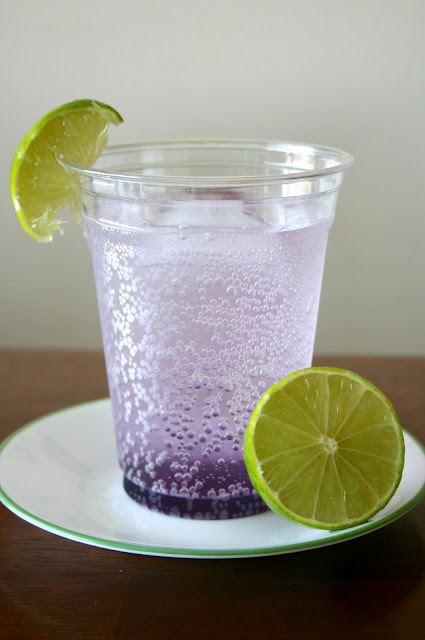 It's so refreshing and flavorful. You've got to try them! 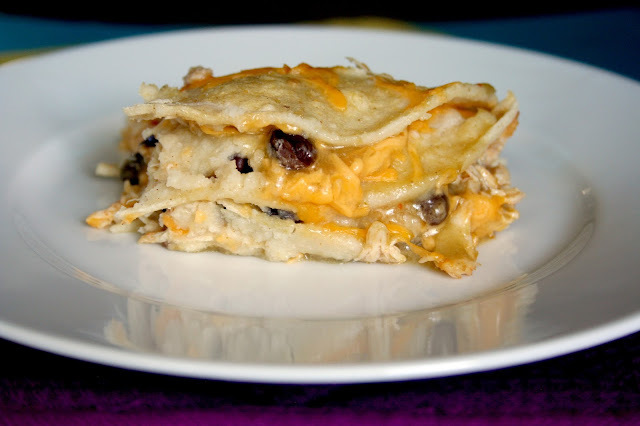 Stacked Verde Chicken Enchiladas -- While I love the taste of standard enchiladas, they can be kind of a pain to make. Enter in these stacked enchiladas. Such a fun idea and so easy, too! 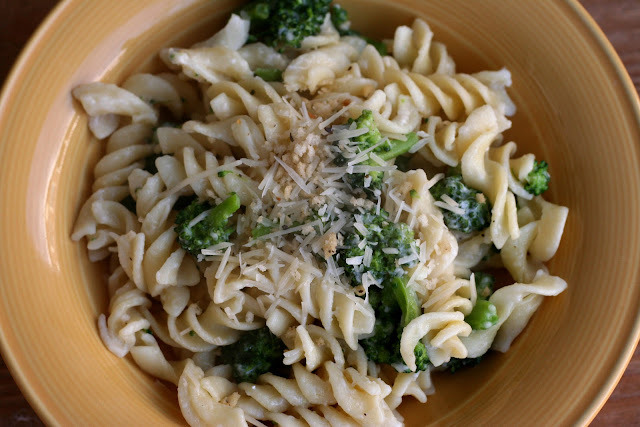 Skinny Broccoli Alfredo -- I love this healthier take on alfredo and love that it involves broccoli. 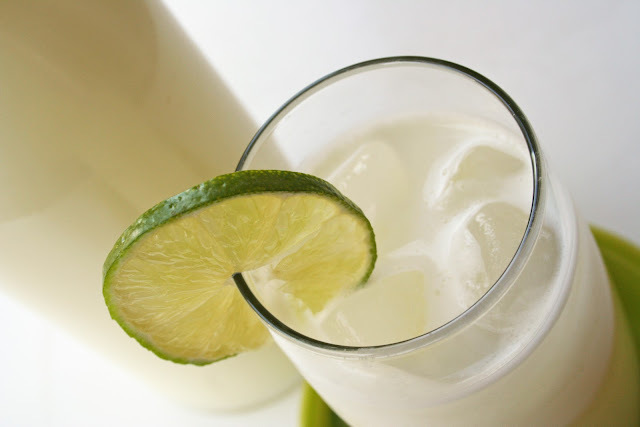 It is so good that you wouldn't even know it's a healthy version. 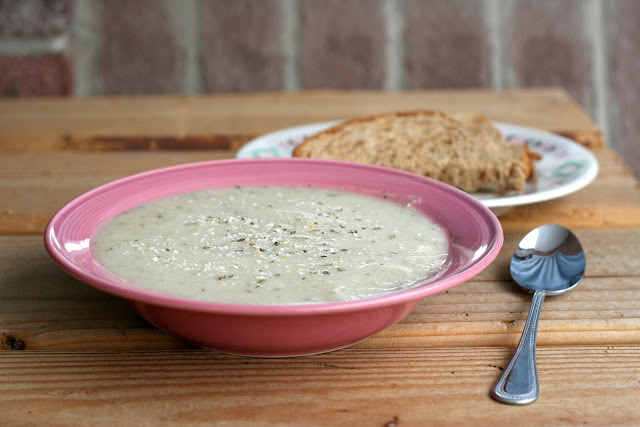 Roasted Cauliflower and Cheese Soup -- This is now one of my all-time favorite soups. It has such a different flavor and I am now a big fan of cauliflower. So good! Tortilla Pizza Bites and Easy Garlic Green Beans -- I honestly think that using tortillas as a "dough" is the best idea ever and I couldn't have been more pleased with this pizza version. Oh and the garlic green beans are a total staple at our house. 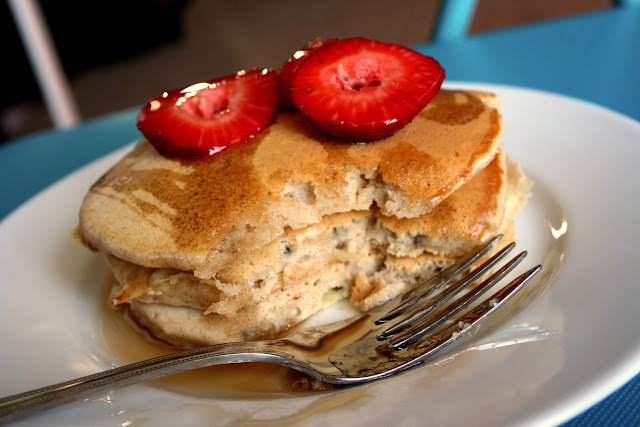 Cinnamon Banana Pancakes -- You would never guess these pancakes would be extraordinary, but they most certainly are. They are fluffy, sweet and have the perfect amount of cinnamon. I seriously love making them! And that's a wrap for 2013!